The most famous Zappa release, and quite a good one at that. 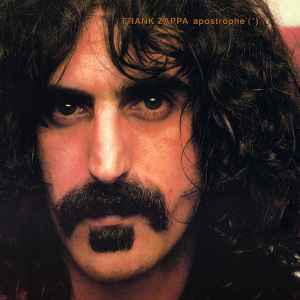 Mr. Zappa's discography is intense and dense, full of things that could scare any listener trying to crack it. Start with this one, it's relatively tame and a great listen all around. If you can get this Vinyl at a good price you will have picked up a sonic bargain. The sound on this version is so well balanced and dynamic, you may well throw away all other copies you own, US/European or otherwise. The only question you will be left with are the other Japanese cuts this good. Thought I should point out this tape is not a US version, but a Canadian 70's edition. Most likely a first "pressing"
Sounds fantastic, exactly what a repressing of an older release like this should be! Zappa is God. Thusly, this is a chapter from His Holy Scriptures, and a necessary rite of passage into the all encompassing world of Zappa. The Mustached One Himself would probably detest this description. But I am merely a disciple, fervently attempting to shove my beliefs down the throats of the sheeple who are lost among the wilderness of garbage music.